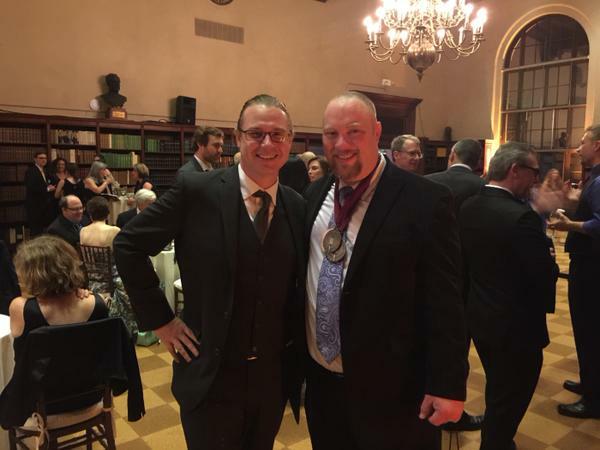 Last week I attended the APA’s annual Audie Award Gala. While Dämoren lost Best Paranormal to M.R. Carey’s The Girl With All the Gifts, I had a fabulous time. I met Dämoren’s narrator R.C. Bray, who was also nominated for several other awards and did win the Audie for Andy Weir’s The Martain. R.C. will also be reading for Hounacier as well as Mountain of Daggers. Speaking of Hounacier, Audible’s editors have selected it for their Summer Preview of their most anticipated upcoming releases. It’s set to release 7/21. I don’t have a date yet for Mountain of Daggers Audible release, but R.C. told me he should be recording it soon after he’s finished with Hounacier. 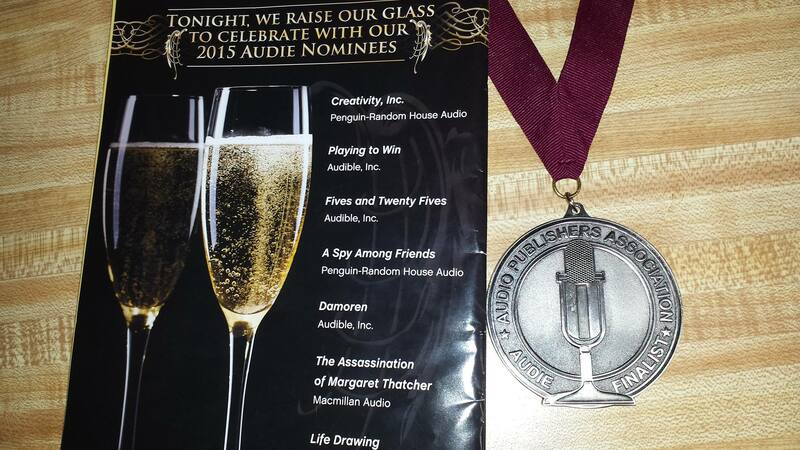 Hopefully with 2 new audio books in 2015 I might make it back to the Audies soon. I’d really like to have another medal to go along with the one bestowed on Dämoren. In other news, Bloodshot Books has just signed my Valducan short story The Serpent’s Army for their upcoming Not Your Average Monster Anthology. The story will follow Clay and Schmidt in the 1980’s. Expected publication date is late September 2015. In the meantime, I’m still plugging away on Ibenus and have a couple more stories out there waiting acceptance. Hopefully soon I’ll have updates on those.